Some fruit perhaps, apples, pears, or perhaps a ruler or diamond might suit you better. Blubber at no extra charge! All shapes and sizes will not be catered for. From the beginning of time I’m sure there have been “the body police” waiting to categorize whomever they saw and fit them into one of the above shapes. Does this mean that these delicious fruits are somehow found lacking in what they offer? Not at all. 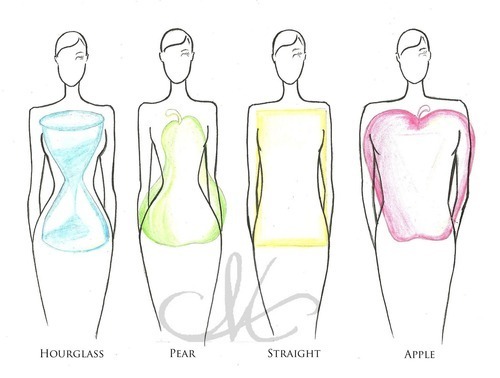 In fact I often wonder which kind soul decided to label a body shape with a fruit. Then to confuse it by adding triangles, rectangles and diamond shapes. People don’t fit into neat boxes and so the shape category had to be expanded, much like so many waistlines, butts, bellies or even their heads. Someone always thinks they can be a judge of how good or otherwise another person is. No wonder clothing is so hard to find. Quite sad really. Almost like today’s post. It has come about because I decided to wander through one of our large department stores and see what the fashion gurus have decided to inflict upon us this summer. North of the equator, you are heading into that lovely fall season when clothing is delightful and layered, whereas south of the equator, we are heading into the hot hazy days of summer when light and comfy are the order of the day. Back to shapes for a moment. This is how people are described by the shapes we see on the street today. Not to be outdone we must look at the male equivalent since I don’t want to be accused of not being fair. At this point I should state that there are any number of examples of the shapes allocated to women but very few examples of the male population. In the interests of fair play and accuracy this was the closest to a group shot I could find. There are some hunky looking guys here….. and a few chunky! Genetics play such an important role in deciding our shape yet we are in constant battle if it doesn’t fit the specifications of our medical profession and the dictates of the fashion industry. We are bombarded with imagery of the body beautiful, male and female and encouraged to ‘fit the mold’. If we don’t then we cannot be part of the ‘beautiful set’. This is when my ire kicks in. These people starve and exercise themselves constantly, have private trainers, chefs and nutritionists…. how many of you have the same? Yet they are still criticized. In the department store I was struck by one startling fact… fashion seems to be losing it’s edge. It was all so drearily similar. Unless you are tubular it’s not going to work for anyone this year. At least not anyone with any shape to their body at all. Not only that, unless you like the striped look you are going to be out of luck. I saw stripes of all colours and sizes, but only stripes. 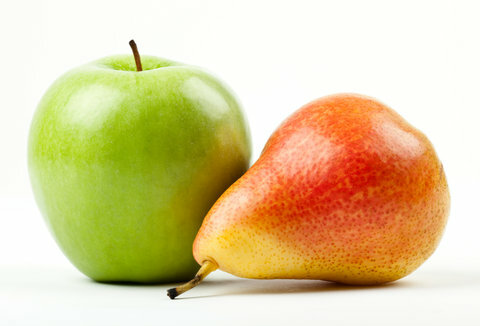 Anyone who has any shape at all knows that you do not put stripes on an apple or a pear! At least not horizontal ones…. you’ll end up looking as wide as the Grand Canyon. Yikes! This situation is nothing new. We have the same depressing cycle every year. There are thousands if not millions of women who suffer through the torments of the damned as they rummage feverishly through the stores trying to find something to wear which will flatter their non conformist shape. The reason – we don’t fit the fruit salad or stationery descriptor tags. We are all unique and despite being told we are a generation of overweight or obese people, we still need clothes to wear. I’m not advocating being overweight, but neither am I agreeing that being overweight should cause people to be even more disadvantaged. I’m sorry, but even the beautiful people don’t look so great and my eyes are having trouble staying focused on those lines. Scotch anyone? I realise I may be a lone voice here, but I cannot see why it is so difficult to have clothes that don’t slavishly follow the designers’ peculiar ideas. Give me a nice block colour with accessories and I’m happy. That’s not too difficult is it? Something with a little shape and not pencil like, adhering to every contour (or bulge) to make you feel good and not like a constricted boa! So, I’ll be searching in some unusual places for my clothing this year. I’m not a fruit salad, nor a geometric shape, I’m a human being. An individual with my own taste in clothes. As a side note, I cannot eat fruit at the moment since I’m banned from any sugar…. so my shape and digestion are at war with themselves…. work that one out! “If it’s got stripes or spots I don’t go near it. If it’s all one colour I’ll go right between them”. Yes, he was talking about animals but the sentiment certainly fits here. I’m no Zebra or Leopard, and if you know the film I’m not a yellow cab either! As an aside, the film Hatari was filmed in Tanganyika, now northern Tanzania. All the actors did their own stunts and captured all the wildlife – actual wild animals, including leopards and rhinos, which would never be allowed today. If you enjoy Africa, some great comedy and action, search it out. It’s one of my favourites when I feel blue. Well said! The fashion industry is one of the most powerful influence groups on the planet, but apparently led by intellects that are led off in different directions each year, on a whim, a distraction or something other than reason or rationale, to the chagrin and anguish of those ordinary people who just want to buy some clothes to look good in! It happens with guys too – perhaps the only way is to have your own tailor, find a design you like and get your tailor to keep making it, with your own variations each time, to keep it up to date! And Hatari is a blast, thank you for introducing me to it!